I have just had word from Malawi that the school plans a big fund raising meeting on 5 March to make sure they can pay for the bricks for block 3. They are inviting as many local well-wishers as they can think of, including the MP, the District Education Manager, the chiefs, businessmen and headteachers. I have now promised the funding for the rest of the materials and labour, and hope to go ahead with the project in April. I chanced on this the other day - it's a short video about a UNICEF-backed programme to provide desks for Malawi schoolchildren called KIND - Kids in Need of Desks. It's worth watching the video here. The schools, the conditions, the children, the teachers, are exactly the same as in the Mpasa area: I can almost imagine myself there. And you'll see that KIND is also now focussing on school fees, girls' education and educational resources, just as the Malawi Schools Project is doing. Like the other main aid organisations, UNICEF is conspicuously absent from the Mpasa area. But I am trying to contact KIND to see if they would supply to the schools down in Mpasa - or whether there are other ways in which we could work together. They have massive resources. It would be wonderful to think that some of them could be directed to the Afrogarden/MSP area. I'm delighted that Christina, the Afrogarden manager with whom I have been working in Malawi, came to the UK in early February to talk about future plans. We will start next week on repairing the roofs of 2 large school blocks at Mlirakhunda School, and I hope 2 similar roofs at Mvunguti. I inspected them in July last year. The old concrete tiles have become degraded and there are now large holes through which water pours in the rainy season. 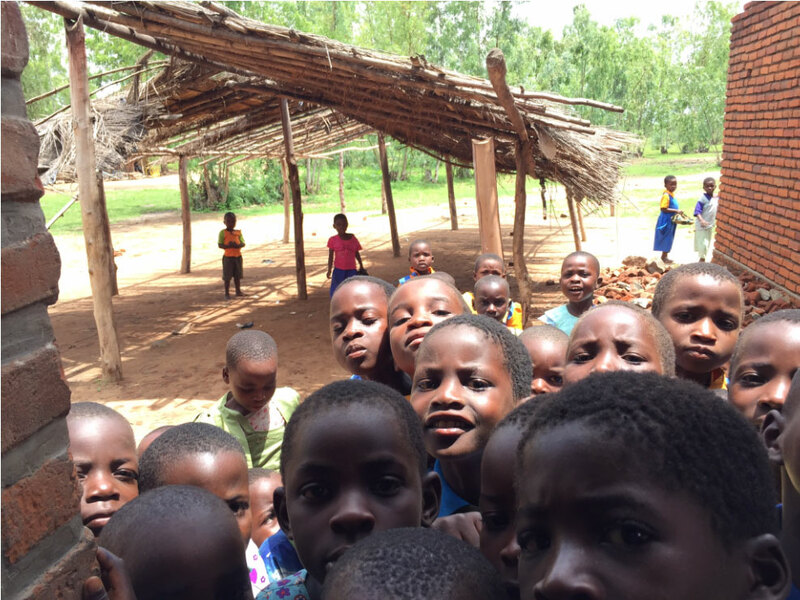 The Primary Education Adviser in Mpasa has also asked if we could fund another new school block at Mwanazanga School - there are still 3 classes there without classrooms - and thanks to our very generous donors, we now have enough money to be able to do that. There is a great photo of the 2 new blocks here.